Home » Automedon charioteer of Achilles. Homer’s Iliad. 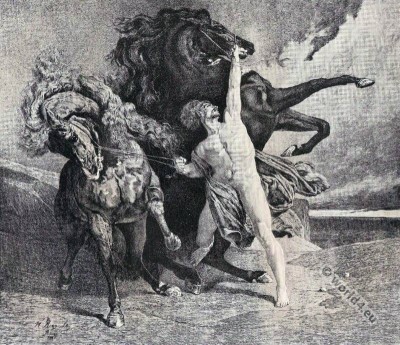 Automedon charioteer of Achilles. Homer’s Iliad. AUTOMEDON was the son of Diorus, and the charioteer of Achilles. In battle, breasting its shock. Automedon was killed at the fall of Troy. This entry was posted in Ancient, Genre and tagged Character sketches, World Theater on 6/15/15 by world4.